Nicaraguan journalist Carlos Fernando Chamorro, editor of the Confidencial online news and the television programs Esta Semana and Esta Noche, announced Sunday night that he had to go into exile in Costa Rica, due to the “extreme threats” against him by the Daniel Ortega regime. Chamorro is the son of former Nicaragua President Violeta Chamorro and a frequent critic of Ortega. Chamorro is one of Nicaragua’s most influential political watchdog and target of the Ortega crackdown on press freedom in that country. The journalist had accused the Ortega government of using increasingly authoritarian tactics to purge Nicaragua of dissent. Chamorro revealed that he left Nicaragua during a live broadcast of Esta Semana, which was transmitted from Costa Rica. “Given these extreme threats I have had to adopt the painful decision of going into exile to protect my physical integrity and my freedom, and above all to continue to exercise independent journalism from Costa Rica, where I am at this moment,” Chamorro said. One of the latest political commentary published by Confidencial, comparing Somoza in 1979 to Ortega in 2019. Daniel Ortega, as leader of the Sandinistas, was the power behind the overthrow of the Somosa regime in 1979. “I want to thank the Costa Rican authorities for welcoming me and my wife, as well as for tens of thousands of Nicaraguans who came to this nation sheltered by a tradition of peace, freedom and democratic values to continue fighting for the truth, the justice and the freedom of Nicaragua “, emphasized the journalist. During the Sunday broadcast, Chamorro recalled that Ortega’s police raided the offices of Confidencial in December last month, seizing equipment, forcing him to work almost in hiding. On Saturday, December 15, 2018, he and other journalists were attacked by riot police. “We have resorted to all the legal mechanisms, including to report the robbery before the Public Prosecutor’s Office, and to the recourse of protection before the Supreme Court of Justice so that it orders the cessation of the occupation the premises. However, not only has there not been a corrective response from the authorities but rather the threats that point to my criminalization have worsened,” Chamorro explained. 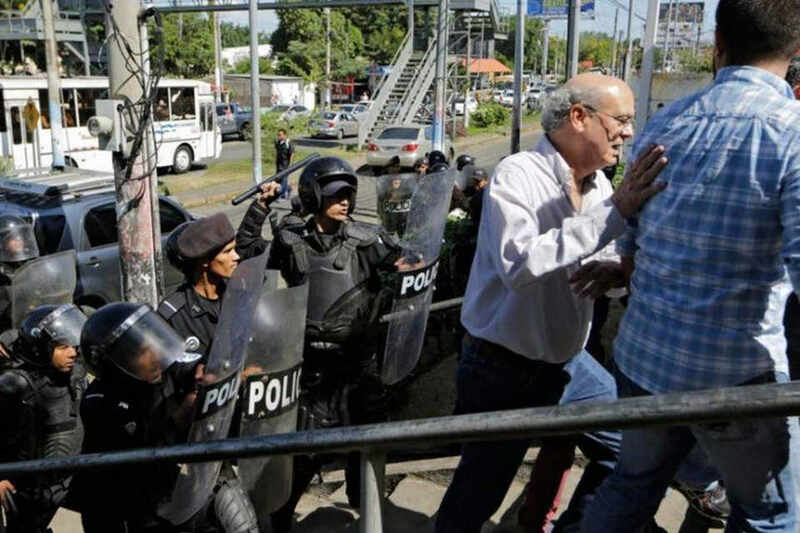 Nicaragua’s government has not responded to the accusations made by Chamorro, repeatedly saying freedom of expression exists in the country. Chamorro is the son of former Nicaragua President Violeta Chamorro and a frequent critic of Ortega. His father, journalist and businessman Pedro Joaquin Chamorro, opposed then-Nicaraguan president Anastasio Somoza in the late 1970s while at the helm of La Prensa newspaper.